[image 1] Nigerian Dwarf Goats. Photo courtesy of Sean O'Neill. 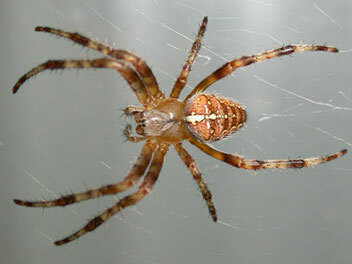 [image 2] Orb weaver spider. Photo courtesy of Peter DeVries. [image 3] Nexia Biotechnologies Inc. Logo. In 1999, the Canadian company Nexia Biotechnologies Inc. announced that its researchers had discovered a way to introduce a gene from an orb weaver spider into the genome of a goat -- and, as a result, produce spider silk in the milk of goats. 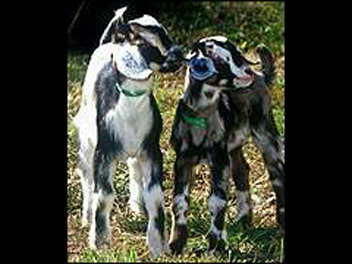 In 2000, Nexia announced the birth of two transgenic goats, Peter and Webster, and Nexia spokespeople claimed that once silk was extracted from the milk of these and other transgenic goats, the product -- which Nexia calls “BioSteel”® -- could be wound into extremely strong, but also lightweight and biodegradeable, lines or cables. These lines and cables, claimed Nexia spokespeople, could be used "in automotive or aerospace components, as a high tensile strength suture for nerve repair, in prosthetic devices and even for stronger, lighter bulletproof vests for law enforcement" (Peter McMahon, “Eight-legged biotech revolution bred in goats,” 2006).